Gym Multi Jungle 8 Stacks for sale! The Multi-angled handles for chin-ups of the Commercial Multi Jungle 8 Stacks offer diverse grip options to perform specific movements to train different muscles. The integrated step makes reaching up for the handles easy and effortless.This Multi Jungle 8 Stacks Machine is perfect for home or studio use, this set up covers all your resistance training requirements without requiring a huge amount of space, or huge budget. 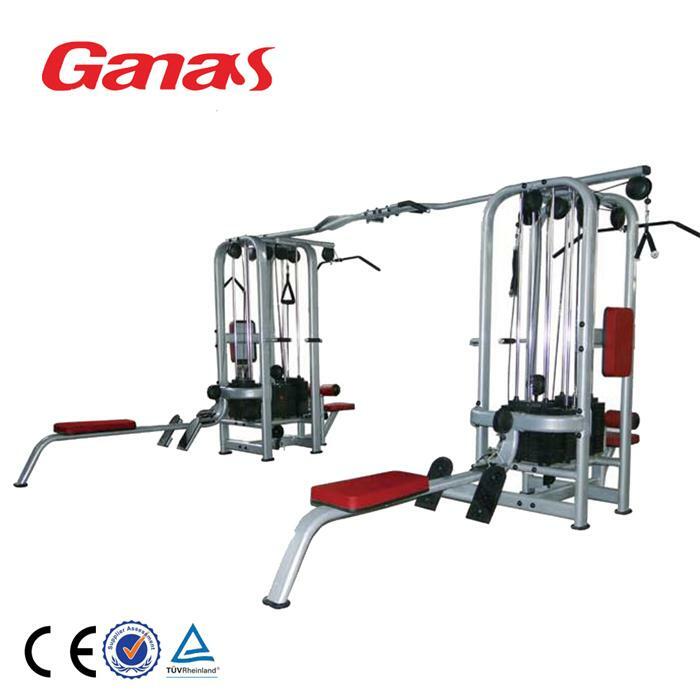 Looking for ideal Gym Multi Jungle 8 Stacks Manufacturer & supplier ? We have a wide selection at great prices to help you get creative. All the Multi Jungle 8 Stacks Machine are quality guaranteed. We are China Origin Factory of Commercial Multi Jungle 8 Stacks. If you have any question, please feel free to contact us.